This beautiful and special hotel venue is located in Amalfi, 45 minutes from Positano and 15 minutes from Ravello. It takes approx. 1,5 hours from the airport in Naples. 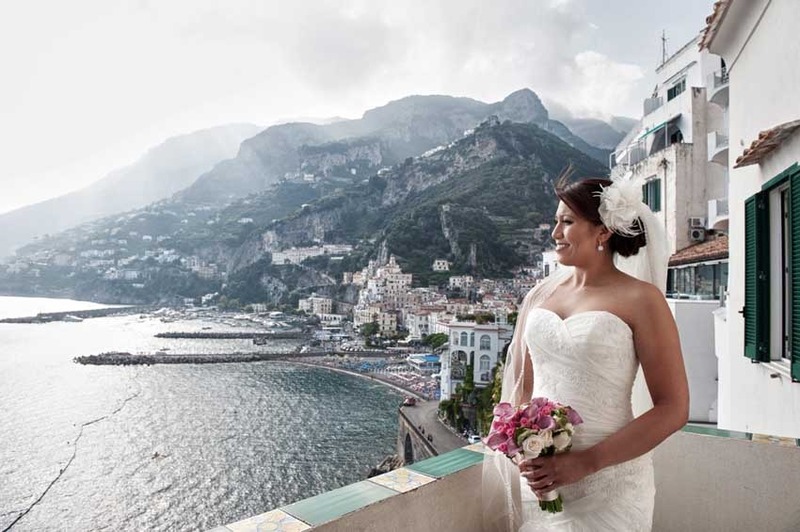 The views from this fascinating venue are incredible and together with its charming atmosphere make it an excellent choice for your wedding reception or stay in Amalfi. Close to the heart of town, it is perched atop the main coastal road and was once a medieval convent. 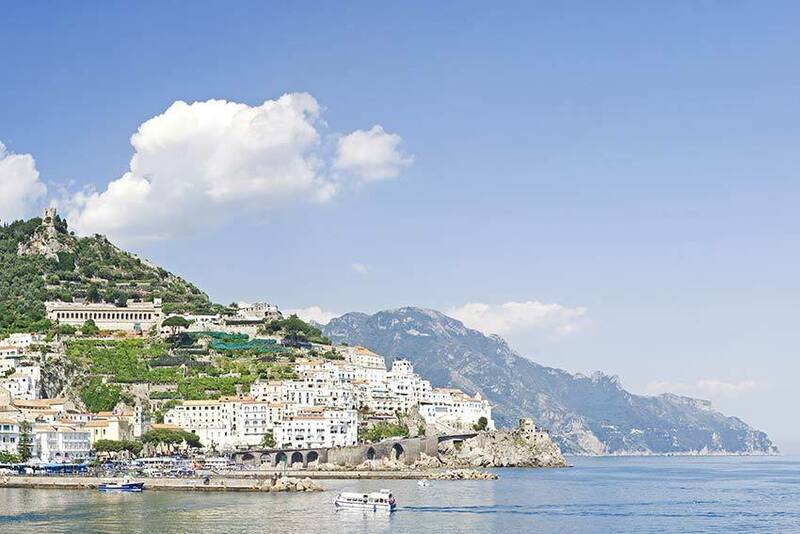 Since the last century it has been one of the best known hotels of Amalfi. 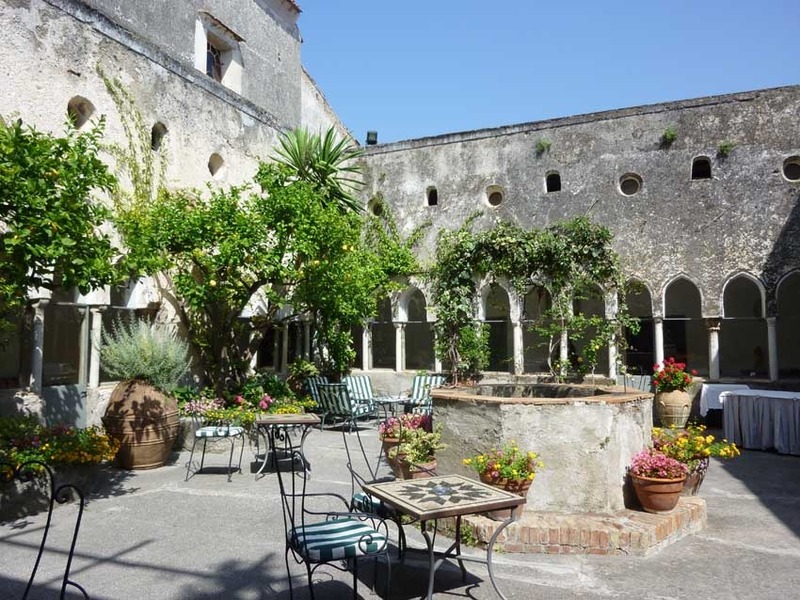 The pretty courtyard garden with scented orange and lemon trees is surrounded by the ancient cloister founded by St. Francis of Assisi in 1200. Catholic ceremonies can be celebrated in the Private Chapel of the hotel, by the Cloister. The Church is suitable for groups up to 90 people – alternatively your Catholic Wedding celebration can take place in the Duomo in Amalfi. Protestant, Jewish and Symbolic ceremonies can take place in the Saracen tower or in the inner Medieval Cloister - for very small groups also on the terrace of the Suite located in the Saracene tower. For Protestant ceremonies only the Church in Atrani that can hold up to 200 people is only a few minutes away. Civil Wedding ceremonies can be held at one of the two beautiful sites used as Wedding halls in Amalfi in the main center, at only 10 minutes walking distance. 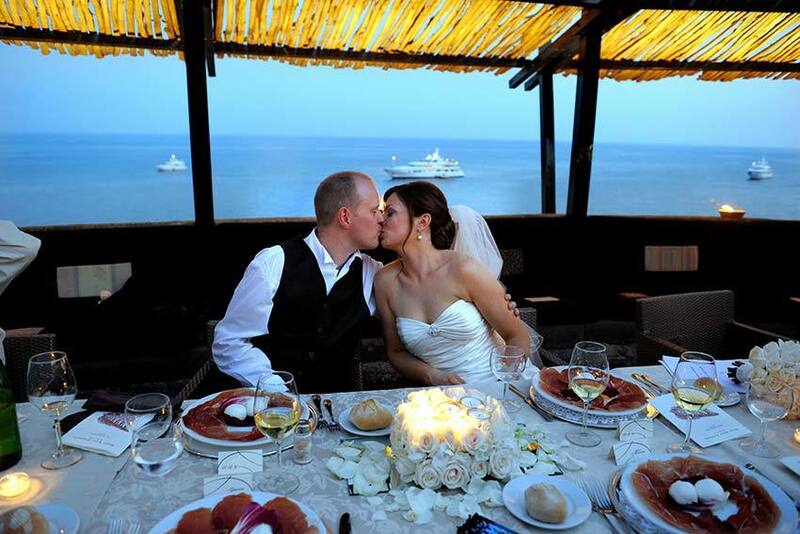 For wedding receptions in Amalfi this romantic and panoramic hotel offers 2 beautiful restaurants. 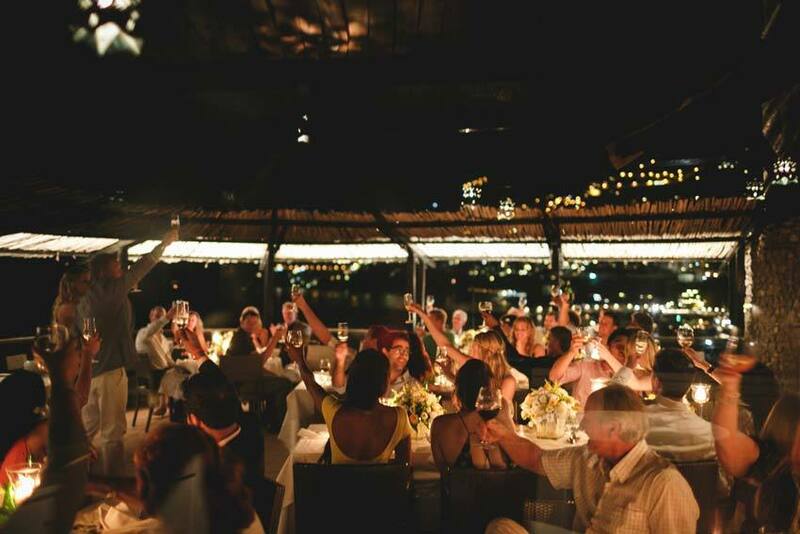 The first restaurant with panoramic sea views allows large wedding receptions up to 120 guests. Welcome cocktails are usually served in the fascinating St. Francis cloister, a very lovely area with a scented lemon orchard where it is possible to set little tables and chairs for your guests to enjoy the cocktail hour. Under request it is possible to provide classical music entertainment such as Violinist, String Quartet, Flautist and Harpist or the traditional guitar and mandolin. The second restaurant is located on a Saracen tower on a sheer rock and boasts an incredible sea view. This restaurant is perfect for a group of maximum 50 people. Excellent traditional Italian cuisine with Mediterranean touches. Wide wine list selection. Only classical music. Dancing is not allowed. There are 40 rooms and 5 special suites. The interior of the hotel is cozy and comfortably furnished creating a good balance with the ancient style of this unusual hotel. Rooms offer all modern comforts and are decorated with majolica tiles and antique furniture. All rooms feature incredible sea views. The hotel is open from Easter to November. We recommend weddings from March to the end of October.